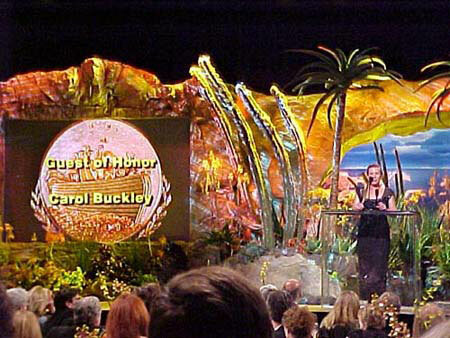 Carol Buckley was selected as Guest of Honor at the 15th Annual Genesis Awards banquet held at the Beverly Hilton Hotel in Los Angeles. 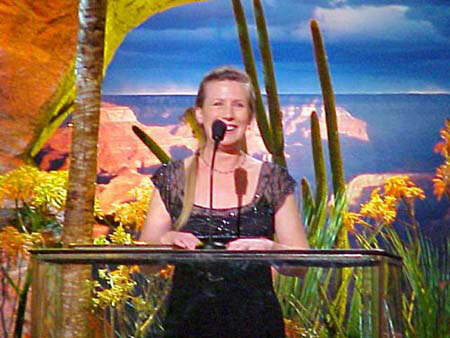 Upon taking the stage for her acceptance speech, Carol received a standing ovation. Each year a guest of honor is chosen, recognizing the person who has brought the most media attention to his or her cause. The Genesis Awards presented by The Ark Trust, Inc. honors outstanding individuals in the major media whose artistry and journalistic integrity have increased public awareness of animal issues. 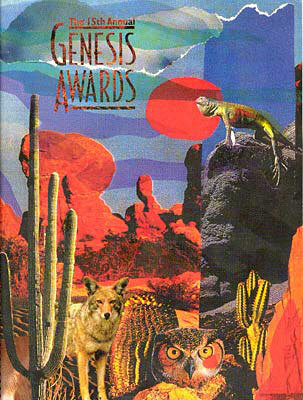 "A Genesis Award honors the goodness of the soul," says Gretchen Wyler, founder and president of The Ark Trust, Inc.
Genesis Awards are presented annually at a star-studded ceremony drawing representatives from the media, entertainment industry, social, business and humane communities. Recognized as the nation's premier consciousness-raiser of animal issues, the event has attracted a host of celebrities. The March event was taped for a television special which aired on Animal Planet in May 2001. To a full house of nearly 1000 people, Carol accepted her honor and thanked the media for having the courage and insight to cover stories of intense interest to the public. 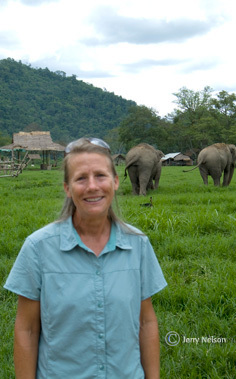 Carol Buckley said, "This award is for all of the elephants that have impacted my life so profoundly." In August of 2002, The Ark Trust merged with The Humane Society of the United States (HSUS) and became The Hollywood Office of The HSUS. The Genesis Awards is now presented by The HSUS. 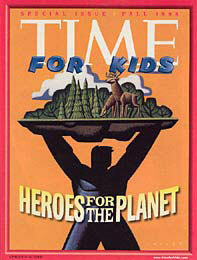 Carol Buckley was named, along with ten others, as Time for Kids, Heroes for the Planet. They were honored along with others doing environmental work to better our planet. In a letter addressed to Carol Buckley, co-founder and director of the Elephant Sanctuary, Michael Dunn, former Assistant Secretary of the Department of Agriculture states, "I have great admiration and respect for the work you do. We need more individuals like you, who willingly shoulder the burden of caring for animals at risk. We all owe you a debt of gratitude."